Barratt Homes Yorkshire West division is preparing to launch a new development in Rotherham - The Glassworks, in Catcliffe. Together with the Elderwood development, in Bannerdale, Sheffield, the schemes will open in early in 2019 and will help to satisfy the demand for good quality houses in these highly sought-after areas of South Yorkshire. Planning permission was granted by Rotherham Council last year for 85 dwellings on a patch of land between the Morrisons store, current housing and the Parkway. It is close to other Barratt developments on the Waverley site. A range of two, three and four bedroom properties are planned and permission comes with a legal agreement to provide financial contributions to improve outdoor community and sports facilities, education and affordable housing. 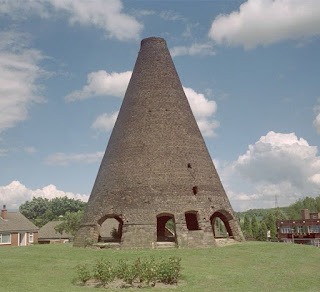 The Glassworks was named as a nod to Catcliffe's iconic glass cone, the oldest surviving structure of its type in Western Europe. The 20m high, Grade I listed building dates from around 1740 and was built for William Fenney who previously managed the Bolsterstone Glasshouse owned by his mother-in-law. The Scheduled Ancient Monument is now just a shell and would have contained a furnace when in use until the end of the 1800's. David Coe, development director at Barratt Homes Yorkshire West, said: "As well as building new homes and creating jobs, we always look to invest in and enhance our local communities so they can develop and thrive. We hope these contributions will support the residents of Sheffield and Rotherham and the activities they have in their neighbourhood, along with those who decide to make The Glassworks or Elderwood their home. "In addition to this initial investment, we have now appointed a dedicated land resource to identify further opportunities in and around Sheffield and Rotherham, further cementing our commitment to Sheffield City and the wider Sheffield City Region. We are excited to see the new developments taking shape over the coming months and to start welcoming residents."